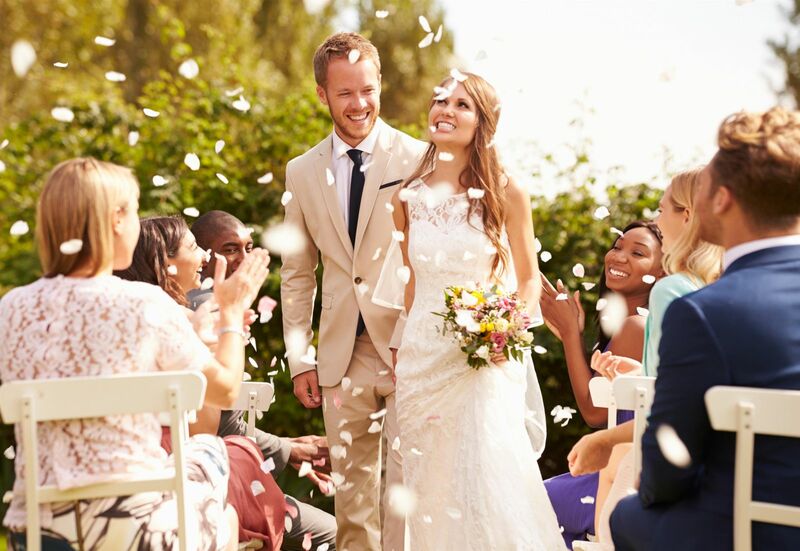 Planning a wedding is no small feat. From the décor to the dress, the location to the guests, the process can easily seem overwhelming. One part that is supposed to be especially fun and just as important for the bride and the groom is choosing the wedding bands. Before you pick out the first one you see to get another task checked off your list, there are some things you should consider first. After all, it will be a piece that you’ll be wearing for life! Before you purchase a band, consider the type of material that you want the band to be made from. Not all wedding ring materials are made equal. Each metal type has its own unique characteristics that could make a big difference in your everyday wear. As a popular choice of ring, platinum is a precious silver metal that is extremely durable. In the 20th century, the metal was taken off the jewelry market for military use during wartime. This gives you a sense of how longstanding this metal is. Not only is it shiny and precious, but it’s also a workhorse. The brightness of platinum will never fade, as long as it is serviced when needed, but it is dense and resistant to everyday wear and tear. The downfall of platinum is that it is one of the most expensive metals because of its rarity and density. The platinum in jewelry is 90 to 95 percent pure, which does bring out the beauty of diamonds set in the ring, but for a pretty penny. Yellow gold is one of the most classic metals used for wedding bands for men and women alike. What’s often associated with gold is the karats—note that these aren’t the same as the carats used to measure diamonds. As pure gold is too soft to be used for wedding rings, other metals are added for strength. Karats measure the proportion of gold that is used in the ring in parts of 24. For example, an 18K yellow gold ring is 18/24 or 75 percent pure gold. 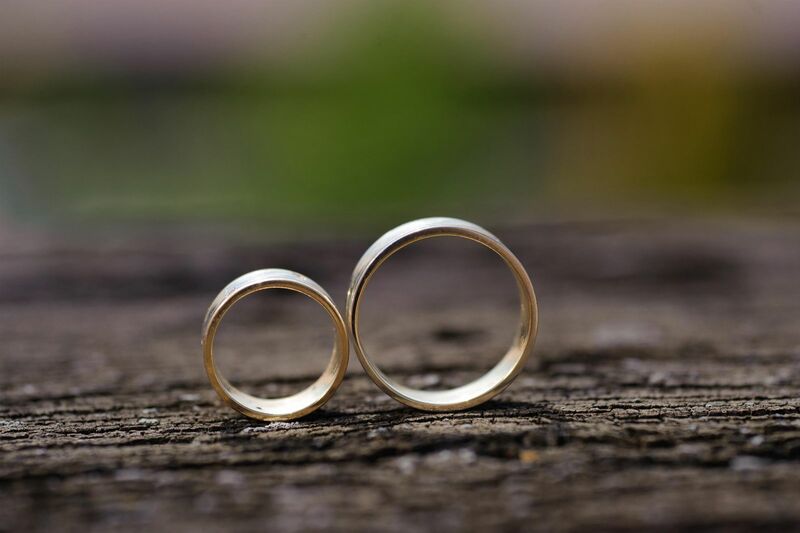 Although yellow gold wedding rings offer a classic look, the material is significantly less durable than other metals on the market. Furthermore, the material gets thinner and wears down easily over time. Just like yellow gold, white gold is not 100 percent pure gold. To make white gold, certain amounts of palladium or silver are added to achieve the bright and silver appearance. While white gold is less expensive than palladium, it is important to note that this material tends to yellow over time. Due to this, individuals often choose to get the ring rhodium plated (or “dipped”) every few years to return the brightness to the ring. While this may be no concern to some, it is an added expense and further maintenance that comes along with choosing this material. 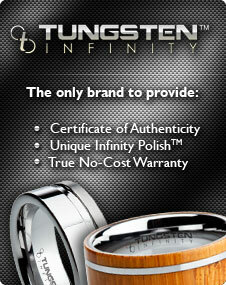 While many brides and grooms opt for gold, white gold, or platinum rings, nothing quite compares to a tungsten finish. Tungsten is the ring of choice if you’re looking for something a bit different, darker, and bound to wow. The sleek contemporary finish is flawless, and the metal itself is often reasonably priced. Finally, you can rejoice in an affordable wedding item, and this one will last you many years to come! Tungsten is a pure element and, in itself, not very sturdy. Tungsten wedding bands are often not 100 percent pure. They are made out of tungsten carbide to make the material easier to work with. When tungsten combines with the carbon alloys over a high heat, tungsten carbide is formed. This is one of the hardest metals known to mankind, making it almost impossible to scratch, and it holds its shine for decades without regular maintenance! Tungsten carbide ringsare approximately ten times hard than 14K gold, and four times harder than platinum. 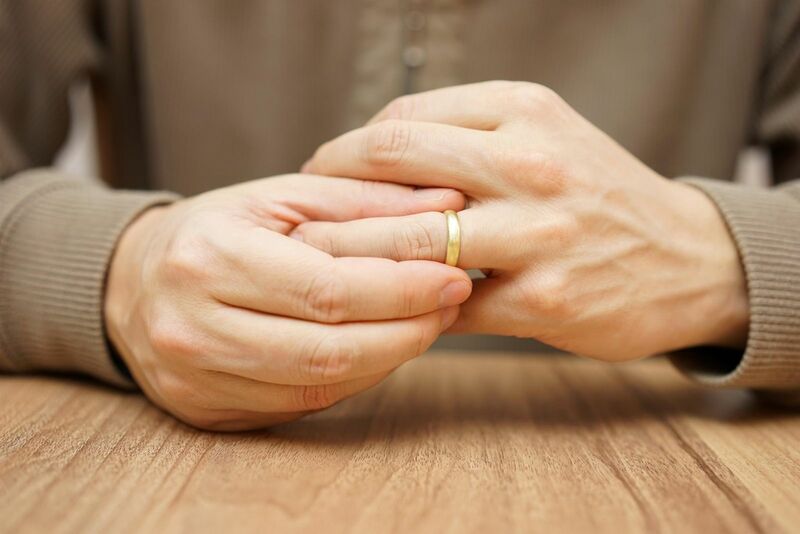 While most newlyweds will service their rings within the first twelve months of marriage, tungsten creates a brilliant, hard-looking shine for very little maintenance throughout the years. They are extremely scratch resistant and more durable than most other types of wedding ring materials. The dark, gunmetal color of these rings stands out. It is not a traditional wedding ring material but is rapidly becoming a favorite for many couples. Better yet, the tungsten carbide wedding rings are available at reasonable prices—even high-quality designer brands. Individuals can choose from engravings, grooved styles, and tension set gems, or go all out and customize their ring to perfection. Luckily, when it comes to choosing your tungsten wedding band, there is no lack of choice! As tungsten carbide rings become more popular, more and more styles and designs are coming onto the market. For men, popular styles of tungsten rings include comfort fit, flat bands, channel set diamond, and brushed layers. Women get to choose from thinner contemporary bands, channel set diamond rings, and tension set engagement rings. What’s more, the bride and groom can match in their ring material and get their rings engraved to solidify their commitments. For tungsten tension set rings, it’s recommended that sapphires, rubies, moissanite, and diamonds are used—gemstones that have at least a 9.0 hardness rating to hold up to a tension setting. Tungsten tension rings which are made with cubic zirconia, topaz, and aquamarine may eventually shatter or crack in a tension setting. 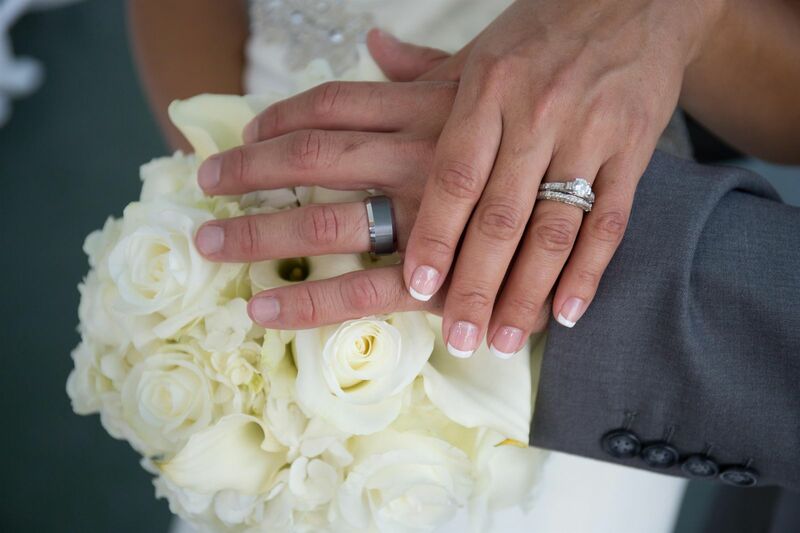 The professionals at Men’s Tungsten Online want to ensure that you walk down the aisle with your ideal wedding band in hand. Our jewelry is hand-selected with high craftsmanship and fine quality in mind so you can design and customize your ring without the fuss. Get started on selecting your ring today.